DBT Development announced today that it has successfully completed construction on the new D.C. Department of Motor Vehicles (DMV) Service Center at Benning Ridge, which is now open for business. This is now the DMV's largest service center, and offers the full suite of DMV services. One of the important features of this center is its accessibility for D.C. residents - whether they choose to drive, ride, walk, or take the metro bus or train. "DBT Development is proud to deliver this new DMV facility in Ward 7, which is now the largest in the city," said DBT Development CEO, David Tolson. "The success of this project is a good example of how progress can be made efficiently and effectively when the goals are clear." The project was managed by DBT Development vice president, Kenric Walwyn, who said, "the success of this project is especially important because the Service Center is fully accessible to DC residents, whether they choose to drive, ride, walk, or take the Metro." "I am so proud of the new DMV at Benning Ridge, which is the largest Service Center in the District," said Ward 7 D.C. council member, Yvette Alexander. "Our residents now have an accessible place to get driver's licenses, parking permits and register to vote. It will serve the people of Ward 7 well for years to come." 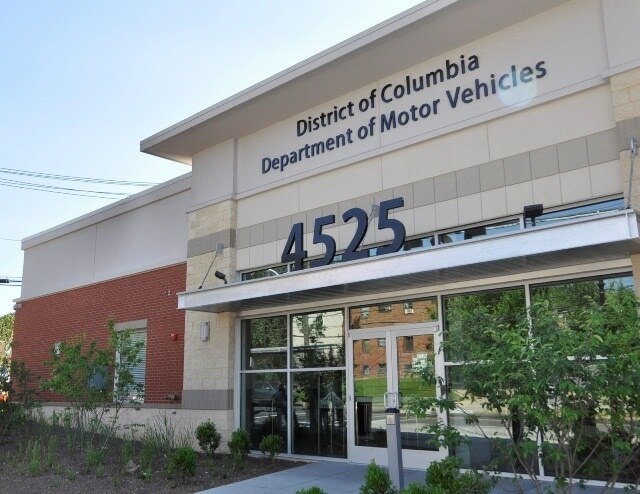 Lucinda Babers, Director of District of Columbia Department of Motor Vehicles, said, "D.C. DMV is pleased to have opened its Benning Ridge Service Center in March of this year. It replaced the Penn Branch Service Center that closed permanently in February and is the agency's largest one. Located in Southeast, Ward 7, more than 26,000 District residents have been to this modern, state-of-the-art service center to obtain a driver license or identification card, title and register a vehicle, or take the knowledge test among many other services. We are pleased to be able to serve District of Columbia residents at our Benning Ridge Service Center."